The request is not compatible with existing uses and zoning on nearby properties, according to the planning staff report, but the staff is recommending approval of the request nonetheless. The Connecting Point Community Church of Winder is seeking a special use approval to construct a 255-seat sanctuary and related facilities on a 10-acre wooded tract now zoned for agricultural use. The surrounding land use is largely residential, and the planning staff has stated that use of the agricultural land for a church is an appropriate land use and has recommended approval of the request. 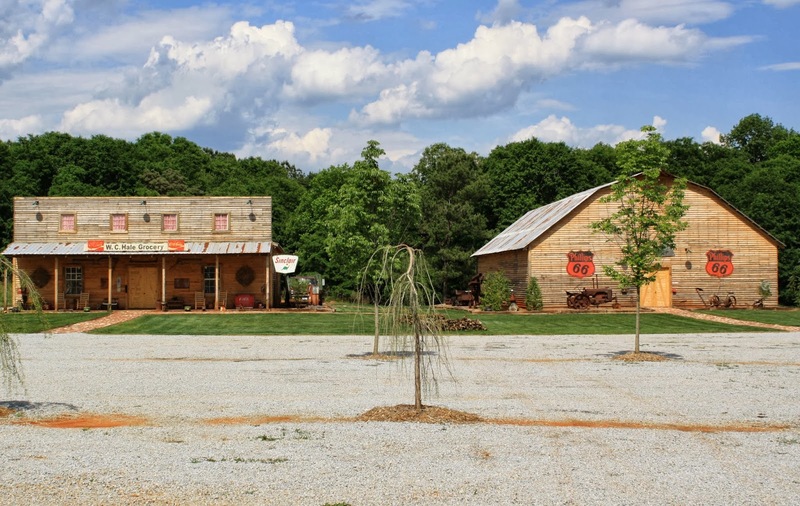 Barton and Melanie Cartey have erected two buildings on 1.6 acres inside the 44.8-acre tract they own at 2531 Snows Mill Road. Each building is 4,000 square-feet in size, according to the narrative for the rezone application. The buildings are wood-sided with rustic tin rooms. The Carteys submitted pictures of the buildings with the application. One of the buildings is designated as the wedding building and looks like a barn. The second building us designated as a reception hall and is intended to look like an old country store. The Carteys call the site Antique Acres. The facility can accommodate 225 people, according to the application, and will be used by private parties primarily for weddings. Cartey is seeking to have the parcel inside his property rezoned from A-1 (Agriculture) to B-1 (General Business) to allow for operation of the facility. “This request is not compatible with the existing uses and zoning on nearby properties,” according to the staff report, written by Planner Brad Callender. All of the surrounding land is zoned A-1, AR-1 (Agricultural-Residential One Acre) or AR-2 (Agricultural-Residential Two Acre), according to the report. The 2030 Future Development Map designated the tract with a character area of Rural Places, according to the report. Reception halls are commercial land uses and are not permitted in the A-1 zoning district, Callender wrote. “In order to operate the proposed reception hall facility, the site must be rezoned,” he wrote. The Connecting Point Community Church is proposing to build a 14,000-square-foot, two story building with associated parking. The first floor will be a 10,000-square-foot sanctuary, kitchen, fellowship hall and classroom. The second floor will be 4,000 square-feet in space and will be unfinished. The Triple Creek Subdivision is a residential master planned development, and other nearby land also is zoned residential or agricultural, according to the staff report. The Planning Commission reviews rezone applications as a preliminary step, following the review by the staff, and makes recommendations to the Board of Commissioners. The Planning Commission meets at 7 p.m. in the courthouse in Watkinsville. The Board of Commissioners is scheduled to take up both of these requests following a public hearing on Nov. 5. That meeting also starts at 7 p.m. and is held in the courthouse. The BOC also is to consider two special use variance requests regarding the buffer around the B-1 zone Cartey is seeking as well as for use of gravel parking lot for the facility. Variance requests are not reviewed by the Planning Commission.